The judge’s decision lets MWRD continue with its proposed timeline for building reservoirs that would store stormwater and sewage overflow. Under the agreement, MWRD shall complete its Tunnel and Reservoir Plan, or “TARP”, in 2029 with the completion of construction on the last of the three proposed reservoirs. 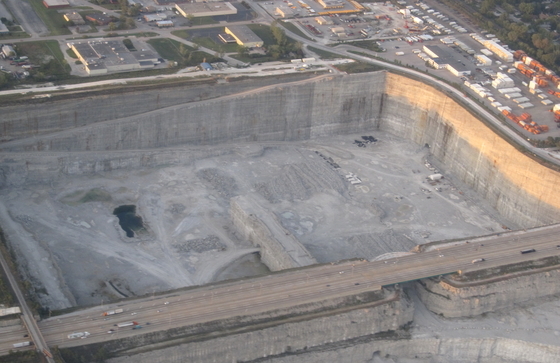 MWRD started construction work on TARP in 1975, and has completed work on 109 miles of tunnels, but just one of the three planned reservoirs. The public works project has cost taxpayers more than $3 billion so far. In 2011, the U.S. Environmental Protection Agency and Illinois Environmental Protection Agency sued MWRD, alleging the agency’s wastewater treatment practices and discharge of pollutants violated the Clean Water Act. MWRD immediately filed the proposed consent decree setting the timeframe for TARP implementation. Environmental organizations, including the Environmental Law and Policy Center and Natural Resources Defense Council, intervened in the case and requested that a judge reject the consent decree. They argued that MWRD should be required to complete its signature flood-control project prior to 2029 because the Chicago area experiences flooding issues every year. But Northern District Court of Illinois Judge George M. Marovich wrote that the timeline made sense. “In a world of on-demand movies and text messages, it might seem unreasonable to wait until 2029 for the completion of TARP, but the project is huge and, like Rome, cannot be built in a day,” Marovich stated in his ruling. St. Pierre noted that the ruling specifically lets MWRD advance its green infrastructure projects, as well as review the agency’s often-contentious real estate policy. Environmental groups who intervened in the case are “weighing the options for what to do next,” according to Jessica Dexter, a staff attorney at the Environmental Law and Policy Center. Options include a possible appeal, Dexter said. Dexter explained that the district’s current plans provide inadequate safeguards against flooding prior to 2029, adding that MWRD could develop a better green infrastructure plan to deal with stormwater runoff. According to St. Pierre, MWRD is in the formative stages of green infrastructure projects on the Chicago and Calumet rivers and is developing a partnership with the City of Chicago to work on the initiatives. Asked to give an example of a possible green infrastructure project, St. Pierre mentioned putting in new asphalt at Chicago Public School playgrounds.